I was recently invited to spend a few hours at Louise James Health & Beauty, a well-placed beauty salon just a short hop from Epsom in Surrey. I sent Mr. L off to spend the afternoon at nearby Chessington with Leila whilst I got down to the serious business of relaxation. The salon offers a range of treatments from the more traditional facials, massages and manicures to the latest Ultra Plus VPL (stop smirking, that stands for Variable Pulsed Light) laser machines that zap unwanted hair, thread veins, age spots, pigmentation and even pores! Throw in some tanning, waxing and Pamper Parties for little ones and you’re looking at a complete one-stop beauty shop. I settled in for one of Louise’s Exclusive Facials which incorporates a back massage (bliss), a cleanse (squeak squeak), a steam (sweaty), an extraction (oh yes! ), the most incredible face massage in the world (fact) and a mask that in my case, smelt like weetabix. The ambiance in the room was good with mostly dimmed lighting and the gentle sound of waves lapping at the shore… my solitary niggle was being able to hear the conversations on the other side of the door as clients came in to book appointments but in limited salon space, that’s a tricky one to address. I emerged from my facial with not only the most incredible glow (proof coming up) but also some seriously impressive bed hair! It was like having a 12 hour sleep condensed into 90 minutes! The Salon uses Dermalogica and Louise was happy to talk me through the products she was using on me, why she was using them and the specific benefits I could expect. 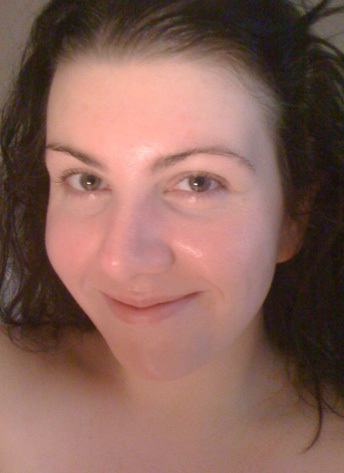 All this followed an indepth discussion about my skin, how it was behaving and a bit of close inspection! Aside from clearly knowing her stuff, it was a breath of fresh air to have the info relayed in a non-patronising manner. Hair Stylists, take note. 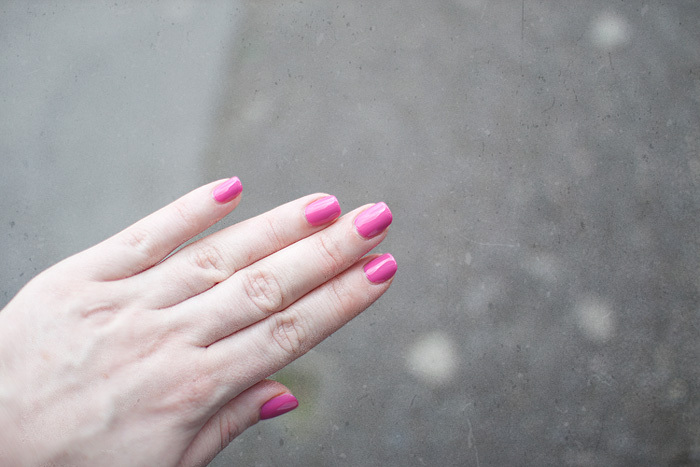 Before heading back into the real world, I opted for a Jessica Cosmetics pepto-bismol pink on my nails which finally got to see the benefits of some expert shaping without the manicurist trying to insist on completely squaring off my nails… now that’s a rare occurence. All in all, it was an experience that needs repeating. I’ve had a few treatments over the years and for me, these things are as personal as a visit to the doctor. I’m the kind of client who values her privacy, likes to know what’s going on during a treatment (but is sometimes afraid to ask) and appreciates simple warmth and friendliness. 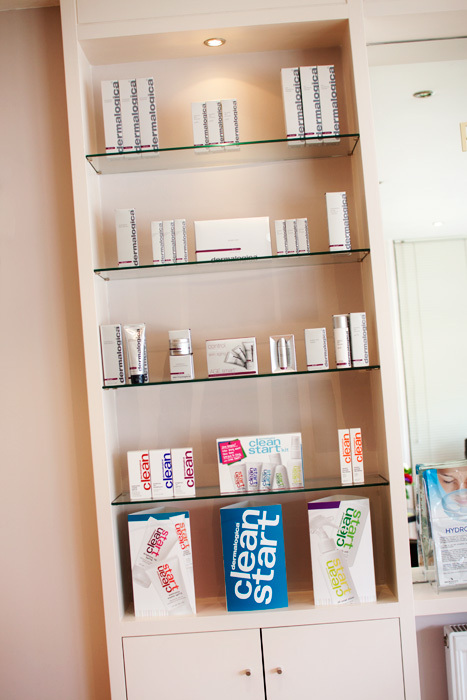 Salon facilities, products and everything else aside, it’s Louise herself that makes Louise James Health & Beauty a must-visit. 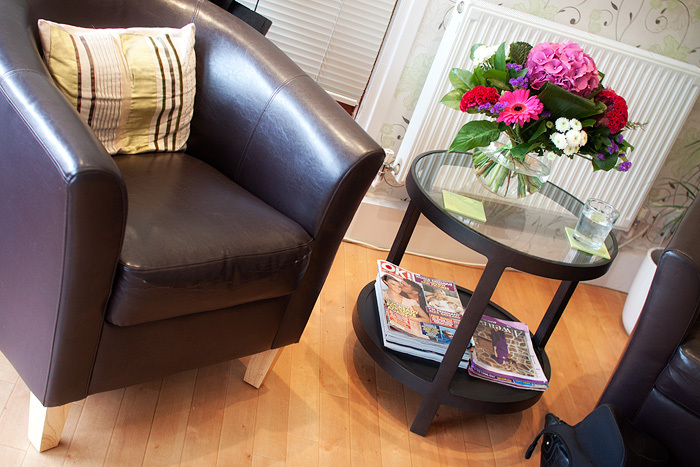 Not only an experienced therapist but clearly an experienced people person who will ensure that time spent in her salon is time spent wholly tailored to you. Through chatting with her for just a short while, it became apparent very quickly just how much pleasure she takes from her job. It’s not rocket science, a happy, qualified therapist with good people skills will make for a very happy customer. And I’m certainly one of those. 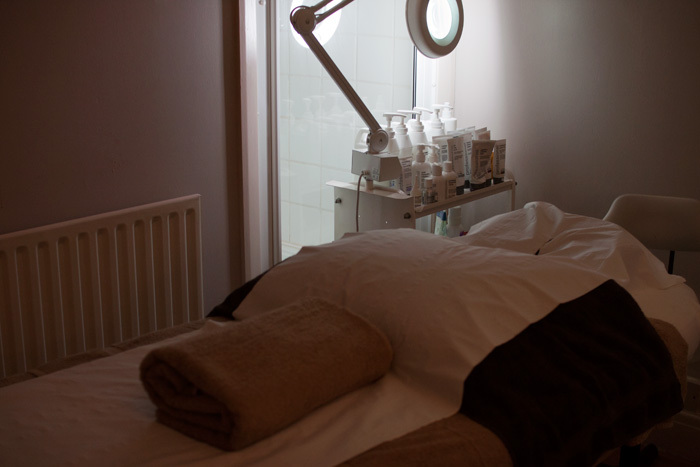 For more information on Louise James Health & Beauty near Epsom in Surrey, please visit the website www.louisekjames.com – prices start from £25 for a mini facial. * I was invited for a complimentary facial and manicure as a guest of the salon. aaaah! I wish I could have a spa day too! Ooooh – just five minutes from the children’s school in Epsom….looks worth a try – my nails are a MESS from the gel nails that I hated and removed too quickly – do they do shellac polishes? Wow, that’s not too far from me in Surbiton! You should have popped in for a piece of cake 😉 It’s so hard to find a truly good therapist (trust me, I’ve been trying forever) so will be checking this out forthwith! We are so please you enjoyed your visit, Louise really enjoyed meeting you and chatting with you. Your skin looked amazing after the treatment and great choice of colour for your nails.